As the number of California cyclists continues to grow, the debate surrounding bike helmet laws is likely to come front and center. Last year, Los Angeles Mayor Antonio Villaraigosa announced his support for a statewide law requiring helmet use for cyclists of all ages. Studies have shown that nine out of ten of the 130 yearly bike accident deaths in California (and 700 nationwide) are due at least partially to the decision not to wear a helmet. But California’s bicycle community has not been receptive to helmet laws, and even greeted Villaraigosa’s announcement with boos. During May as National Bike Month, we became curious about how many Bay Area cyclists use helmets and know about the California’s helmet laws. Our helmet safety survey asked five simple questions about bike helmet use for children, adults, parents and non-parents. Pie graphs of the results are listed below, with notes about how certain demographics responded. Take a look, and let us know your thoughts in the comments section or on our Facebook page. Are You Familiar With Your State’s Helmet Laws? Funny note: Only 41 percent of women claimed to know their state’s bike helmet laws, compared to a whopping 75 percent of men. A bit of over-confidence among Bay Area men, perhaps? Non-parents responded that they are much more likely to wear a helmet than parents. 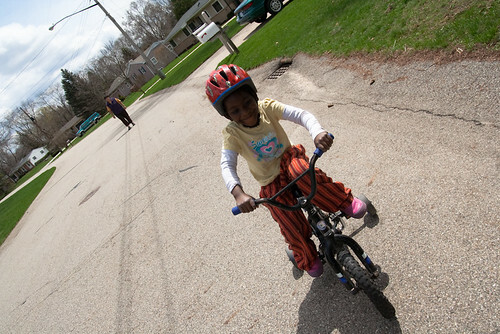 Only 45 percent of parents said they always wear a helmet, compared to 71 percent of non-parents. Let’s set a good example for the children! Should Children Aged 3-18 Be Required to Wear a Helmet? Everyone was agreed here, though women were slightly more likely to say children should be required to wear helmets (at 86%) than men (80%). Should Adults Be Required to Wear a Helmet? Though 71 percent of non-parents said they always wear a helmet, only 39 percent thought they should be required to, compared to 45 percent of parents. And women were more likely to think helmets should be required for adults than men, by 45 percent to 35 percent. What is Your Reason For Cycling?